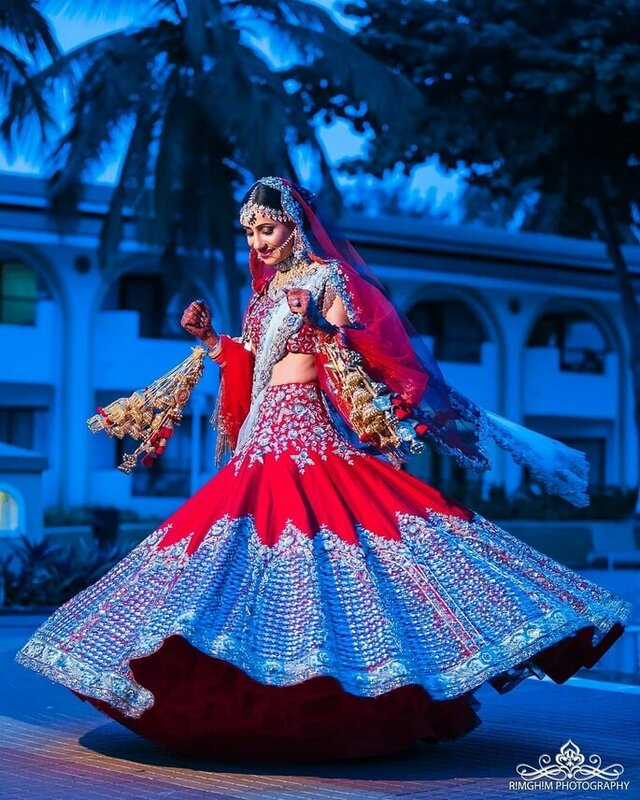 Gone are the days when the wedding lehenga was only about a particular shade of red and repetitive patterns. Now, it’s more about personalization, whether or not the fashion complies with the traditional rules. 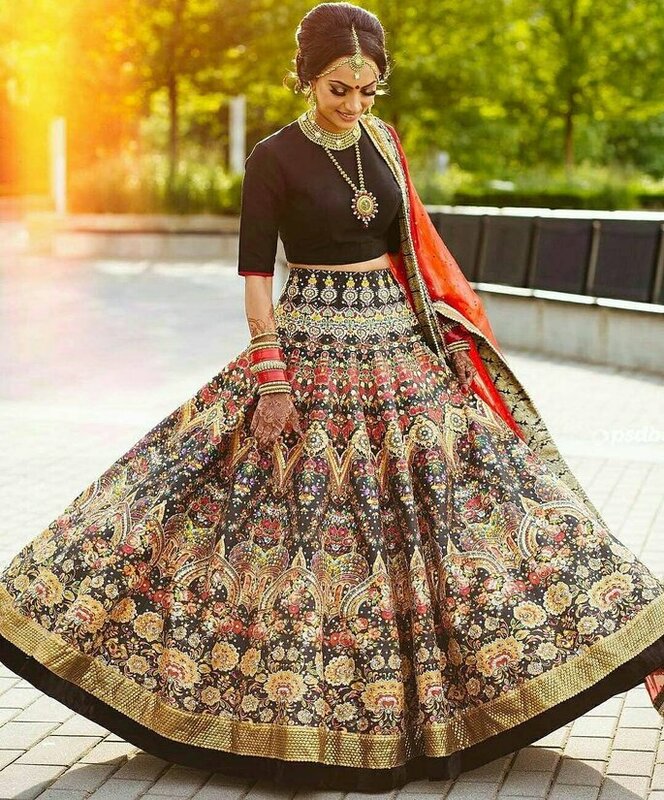 In the past few months, we have seen brides twirling in uncustomary black lehengas, embellishing their lehenga with bold and unusual patterns and what not. But, we have loved it all. 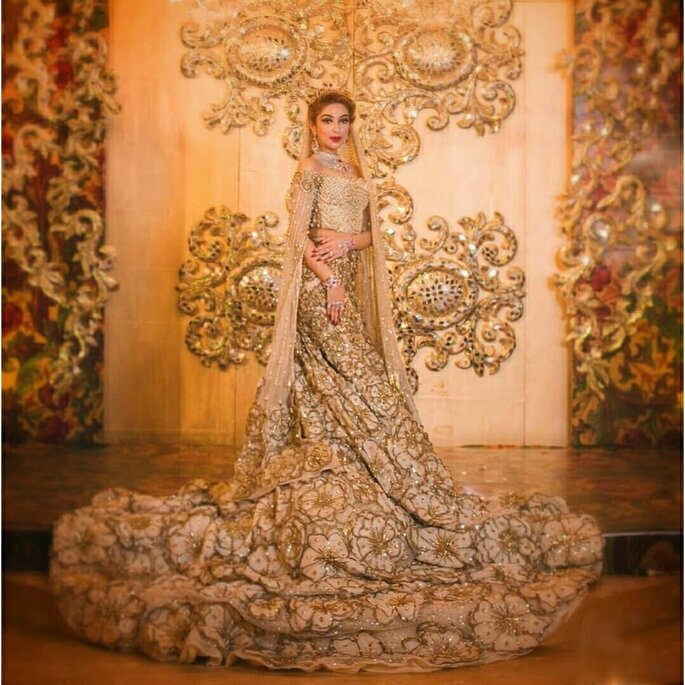 We’ve compiled the list of ultimate wedding lehengas that exude both grandeur and quirkiness. 1. 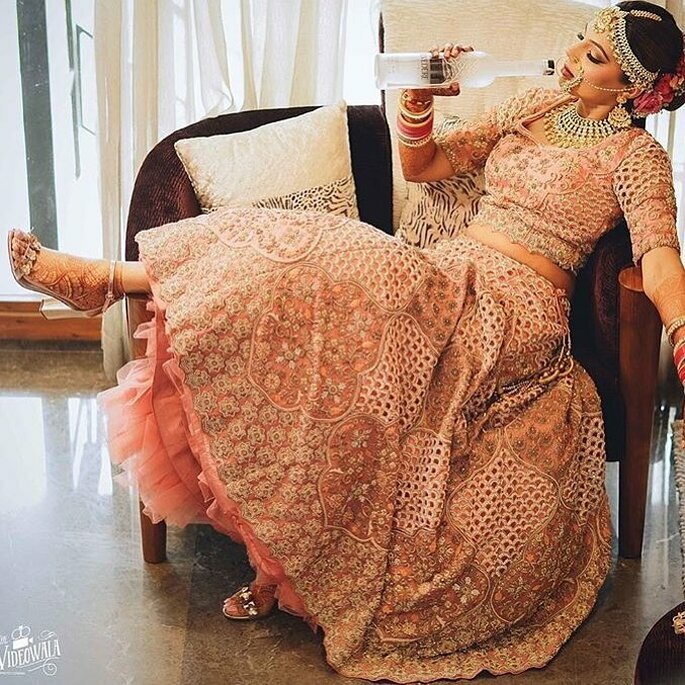 This bride accentuated the bold and oversized Indian deity motifs on her rose pink and beige shaded lehenga to make it striking. 2. 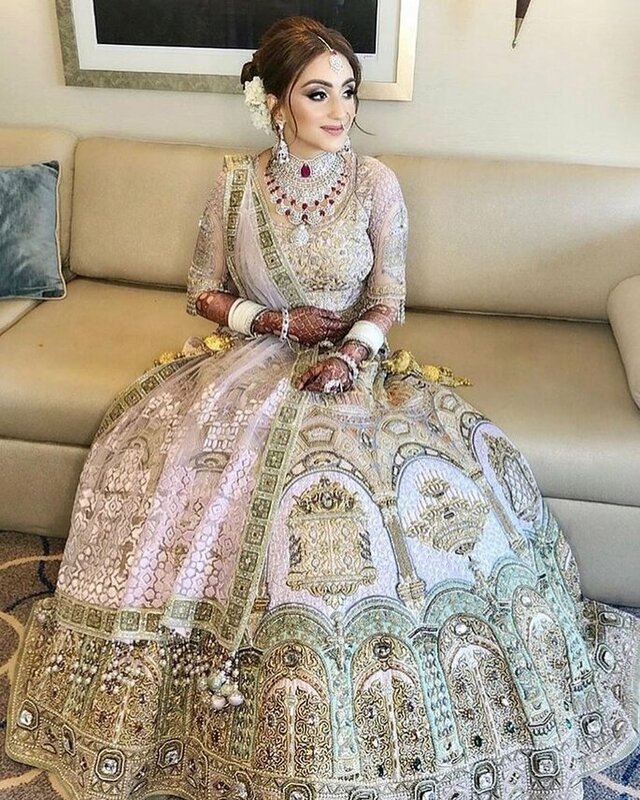 We love how ingeniously the different shaded fabrics have been used to create gorgeous fish scales patterns for the bottom half of the lehenga. 3. 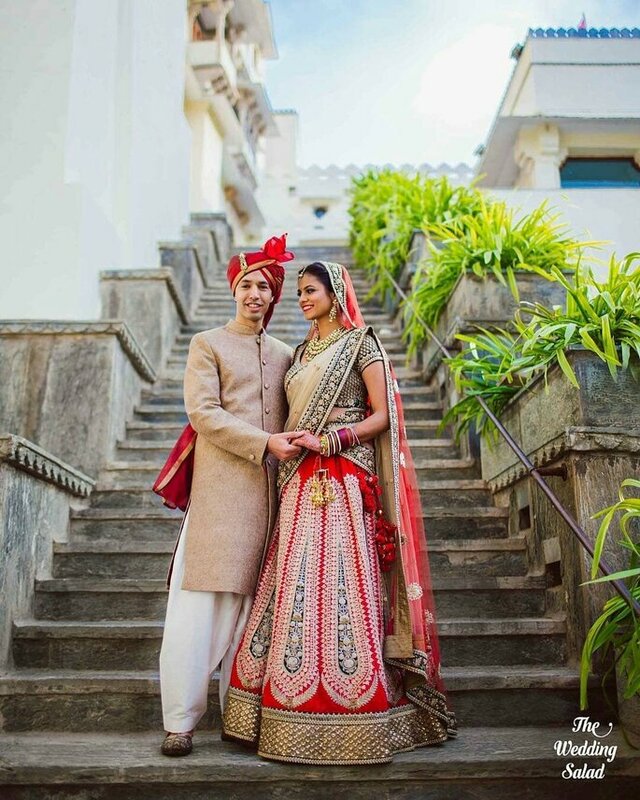 This bride’s tinted lehenga has been bedecked with the opluent threadwork of the imperial castle wall art and magnificent vintage chandelier. 4. And do we need to say why this bride is on this list? 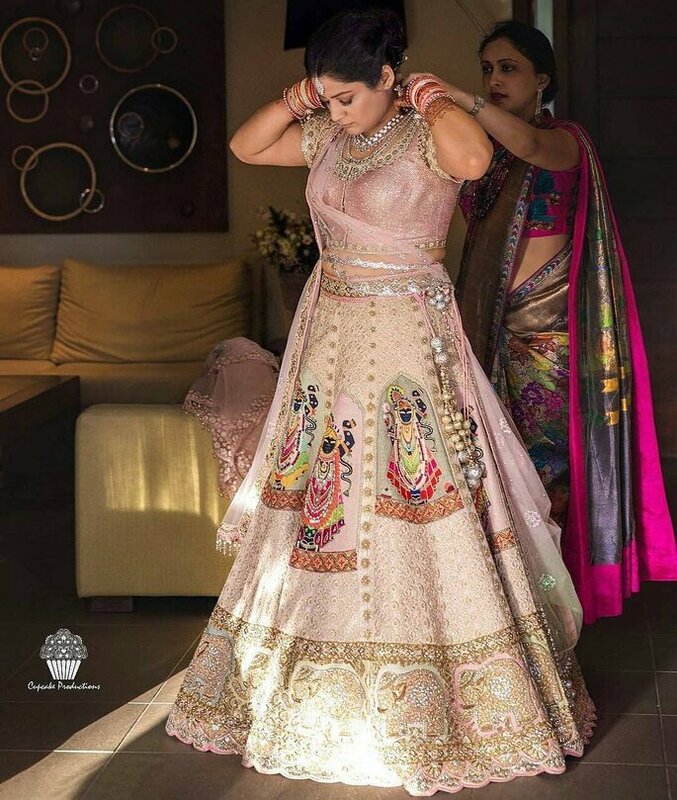 The bride went all bold & beautiful with a plain black blouse and embellished black lehenga with luxurious and intricate pastel threadwork. 5. Manish Malhotra is a designer who never fails to amaze everyone with his glorious creations. This ensemble is a perfect fusion of stately color palette and unconventional stylized patterns. 6. 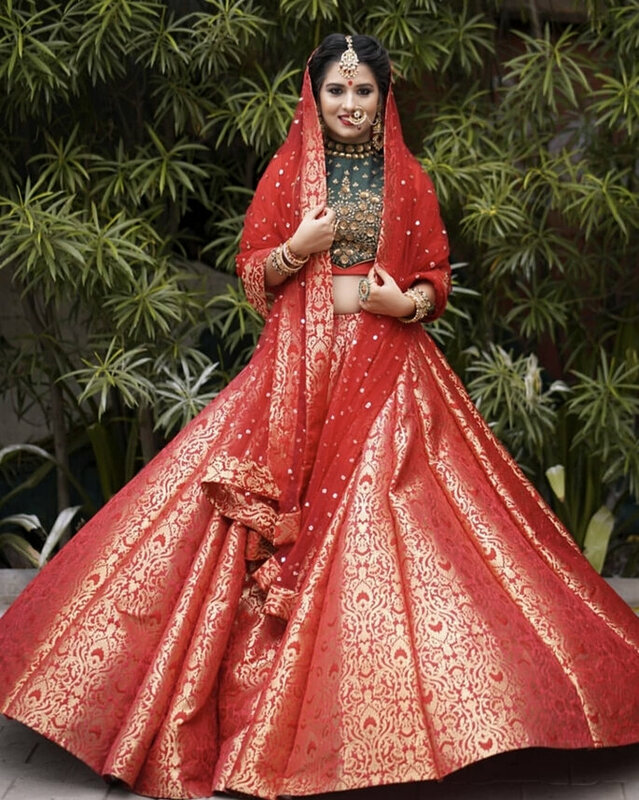 A wedding lehenga can be of the classic red color and could still stand out with its extravagant ivory pallu, and half-up & half-down heavily embellished lehenga. 7. 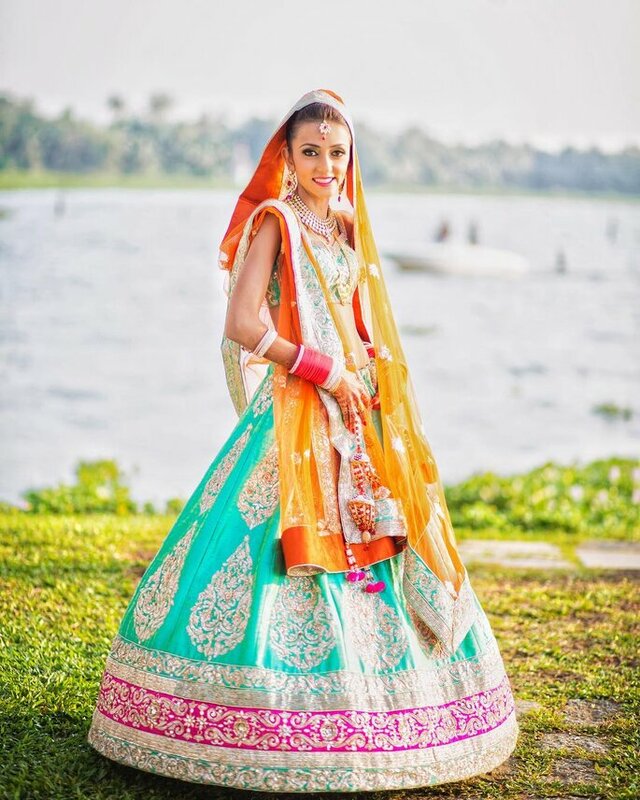 This peach colored lehenga with its open jaal motifs arrangements is adding an artistic charm to this ensemble. 8. 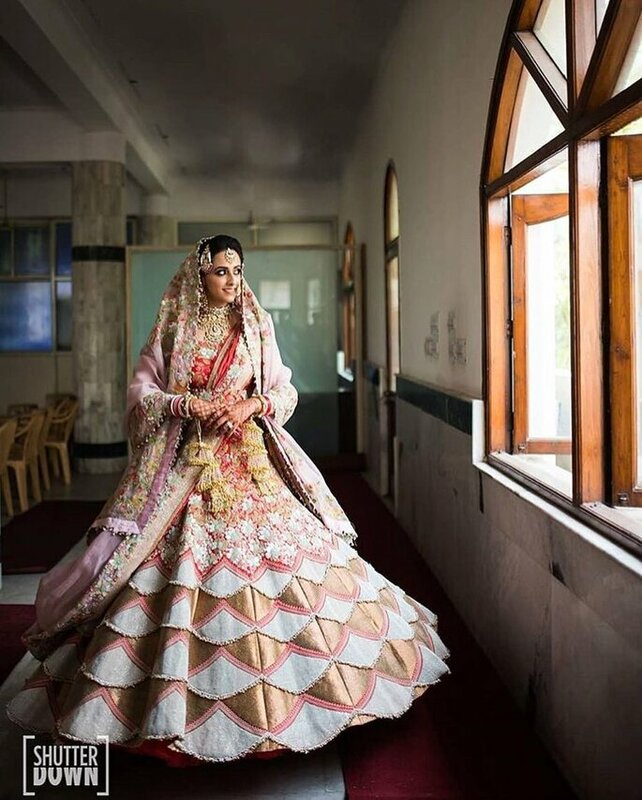 This delicate bride is fearlessly wearing unconventionally shaded wedding lehenga. We love the mix and match of the vibrant colors. 9. This union of an unconventional sumptuous black blouse and classic red for the lehenga in an offbeat pattern is an original work of art. 10. This one is for the minimal bride who does not want to go overboard but still wants to make a statement.